Gardening takes precision and skill. Between maintenance, planting, and harvesting, not everyone is lucky enough to have a green thumb. But, that’s all about to change, thanks to the newest advancement in open-source agriculture: FarmBot. You can probably tell by its name that the FarmBot is indeed a robot. However, it’s more than that; Its a state-of-the-art mechanical bot that is able to plant and monitor crops year round. Its patented technology allows for anyone to grow and harvest crops, all within the comfort of their homes. Plus, it’s able to be used on crops large and small, your backyard included. For centuries, farming has been a tedious task that requires a ton of work in order to be successful. Crop failure, sicknesses, and lack of nutrients are all pressing concerns when it comes to farming. That is, until now. FarmBot is changing the way that we farm by modernizing our approach to agriculture, technology first. We live in an insanely tech-centered world. There’s an app for almost anything, farming now included. With FarmBot's app, users can begin mapping out their ideal farm via the app’s “drag and drop” crop planning. Once the land is planned out, users can then add in special instructions for the FarmBot to follow, including the command to scare birds away from the crops. The app then tells the bot how and where to plant the seeds, according to the plan. Plus, the app is able to decipher what specific care is needed for each plant type. In order to maintain the health of the farm, FarmBot goes over the crops daily to remove weeds and measure the soil moisture. The constant data analysis helps the FarmBot to optimize crop health, and it does all of the hard work so you don’t have to. Users can just sit back, relax, and wait for the app to notify them when it’s time for a harvest! Each FarmBot is complete with a set of interchangeable attachments for all of your farming needs. It comes with a seed injector, watering nozzle, soil sensor, and weeder. All you have to do is attach the piece needed for the task and watch as the bot measures and records all of the information needed. 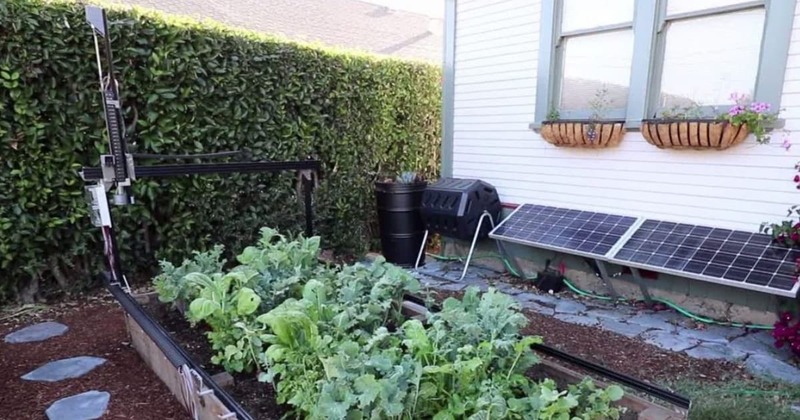 The FarmBot itself is relatively small, so it won’t take up tons of space in your garden. It runs on a track as well, which is fitted around a planter box or garden patch. 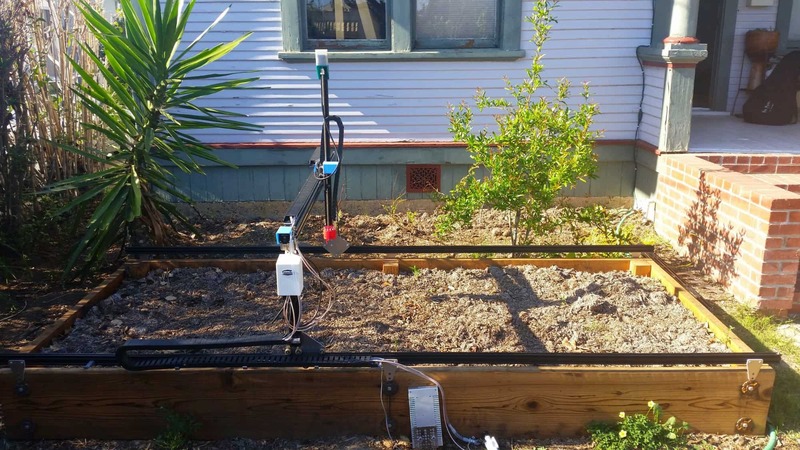 FarmBot provides the opportunity to build your own autonomous garden. Depending on the type of crops planted, FarmBot can also be placed within a greenhouse environment. This is perfect for plants such as herbs, greens, cucumbers and tomatoes. Also, by growing these crops in your backyard with the FarmBot, you can greatly reduce your carbon footprint. Often times a large amount of CO2 is used to grow and harvest the produce we see in grocery stores. With FarmBot, you can grow your produce right in your backyard, eliminating the emissions from transportation, harvesting, and packaging. All of the hardware and software are currently open source. Anyone can access it, and it’s free for everyone. This can then be a means of encouragement for urban gardening, as people share their gardening knowledge and update their tech through new, innovative designs. According to recent research, roughly 500 million family farms are responsible for the majority of the world’s food. Family-owned farms is a difficult business as well, with a failure rate of about 80%. But what if FarmBots could help smaller farms avoid costly crop failures? What if it could significantly cut down on smaller farms’ expenses? By using FarmBots, farm owners can improve the life of their crops in the most cost and time-efficient ways possible. Data tracking and testing can be done over and over, without the need to pay employees or give breaks. Plus, the system can be run 24/7, so the crops are never left unattended to. All of the data tracking and analysis will be free of human error, and experiments can be repeated quickly and accurately. The potential of FarmBots goes much further than just commercial and backyard farming. In fact, FarmBot has partnered with NASA to look into the possibility of introducing FarmBots to space. 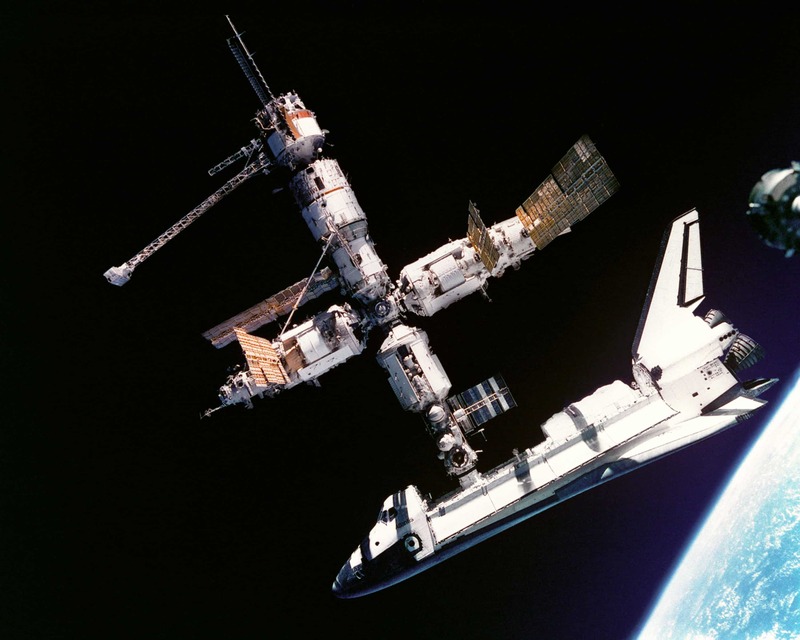 The bots could be used on the actual spaceships, or they could eventually be used to sustain crop life on Mars and the Moon. Autonomous farming could allow massive scaling down the road. But how would the FarmBot be powered in such places? According to their website, FarmBots are versatile enough to be run by electricity, solar, or wind power. Whatever source of power is needed or wanted, the employees at FarmBot will help set it up. FarmBot is also a great educational tool for people of all ages. Robotics clubs in elementary schools are looking into the mechanics of the machine, as well as exploring the possibilities of running the bot using solar energy. Students who are learning coding are also taking the opportunity to look into the automation aspect of the FarmBot, making it an educational experience that opens the doors for a future of more eco-friendly thinkers. Overall, the FarmBot seems to be an eco-friendly and energy-efficient alternative to traditional farming. It can reduce the risk of crop failure, allocate resources based on data, and potentially encourage more people to consider urban farming. Who knows, maybe you’ll soon be heading to the backyard for your produce shopping.